Have you been thinking “I wish I could sell my car without going through any hassles or red tape?” Well, you can at CarMark Hawaii! Our business is focused specifically on buying used cars, trucks, and SUV’s from those in the military who are being relocated or deployed, or anyone who simply wants to turn a vehicle into cash. We know how hard it is to sell a vehicle to an individual or car dealer and understand all of the work involved. 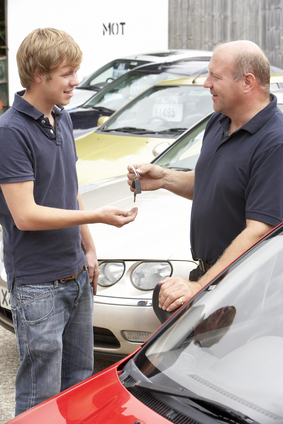 We make it simple; in fact, selling your used automobile couldn’t be any easier! Unlike some other companies who purchase used cars, what we don’t do is buy “junk.” We do have a few rules, but they’re fairly easy to adhere to. As long as your car, truck, or SUV is a 2007 or newer model, has no structural frame damage, and has 100,000 miles or less on it, there should be no problems trading it in for the cash you need. Even if you haven’t paid your vehicle off, we can pay off the bank loan in most cases. If your title is free and clear, we will pay you the same day you bring your vehicle in. People trade their vehicles in for cash for countless reasons. Maybe you are moving out of the area and don’t want to take your car with you, or perhaps your financial situation has become shaky, and you need money to pay the mortgage or household bills. Perhaps you haven’t driven your vehicle for months or longer, and you would rather have some cash to spend on a vacation or other luxuries. We really don’t care about the reason at all; our goal is to make the process of selling a used car in Honolulu as easy and stress-free as possible. We’ve been in the business for decades, and staff professionals who are courteous, helpful, and dedicated to meeting your needs. If you need to sell your used car, truck, or SUV in the Honolulu area, call CarMark Hawaii today!